It's chili season! I am big on chili in the fall, especially using my slow cooker. Nothing says fall like Sunday football and chili cooking all day - so warm and hearty! I've rounded up a few recipes I've tried & saved and a couple I want to try. I typically lean towards chilis made with ground chicken or turkey to keep the calories and fat down, so that is mostly what you see here. 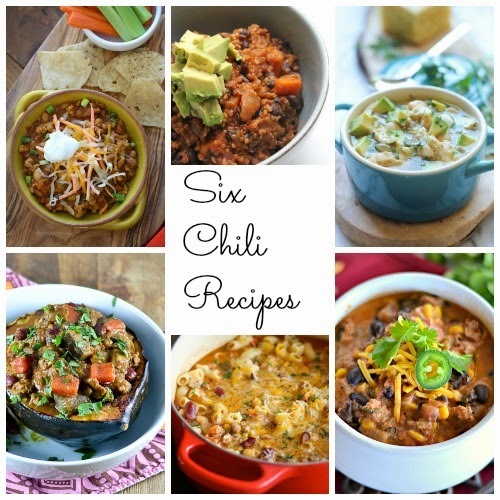 What's your favorite chili recipe? Share in the comments! PS: It's pumpkin decorating season too! Scott and I made a version of the buffalo chicken chili recently, it's so good!! can't wait to make some chili! The quinoa sweet potato chili sounds so delicious.